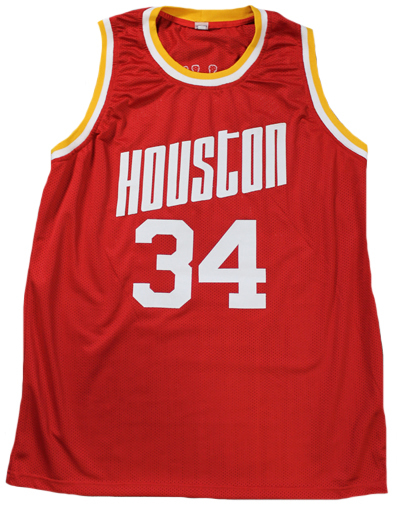 These custom Houston red away jerseys have been personally hand signed by Hakeem Olajuwon. 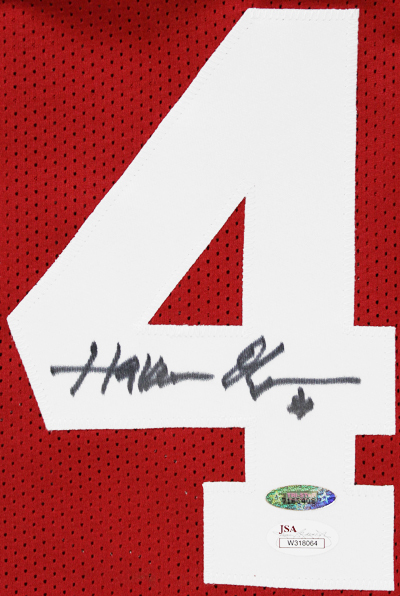 Each autographed jersey includes authentication from TRISTAR and JSA. 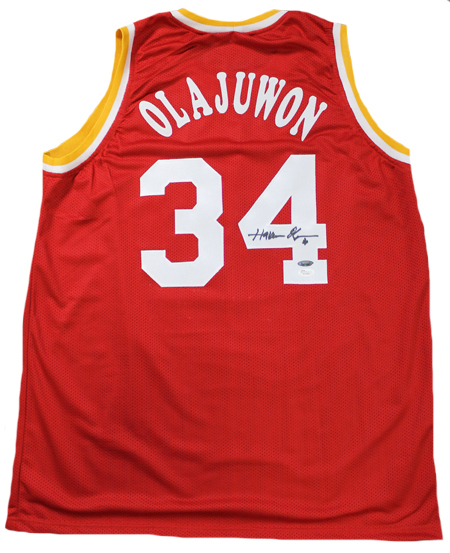 Hakeem Olajuwon is a retired professional basketball player. Hakeem played the majority of his career for the Houston Rockets. While a part of the Rockets Hakeem led them to back-to-back NBA titles in 1994 and 1995. He became a member of the NBA Hall of Fame in 2008, and is regarded as one of the greatest centers to ever play the game of basketball. These custom jerseys are made from high quality material, but contain no tags or brand names.